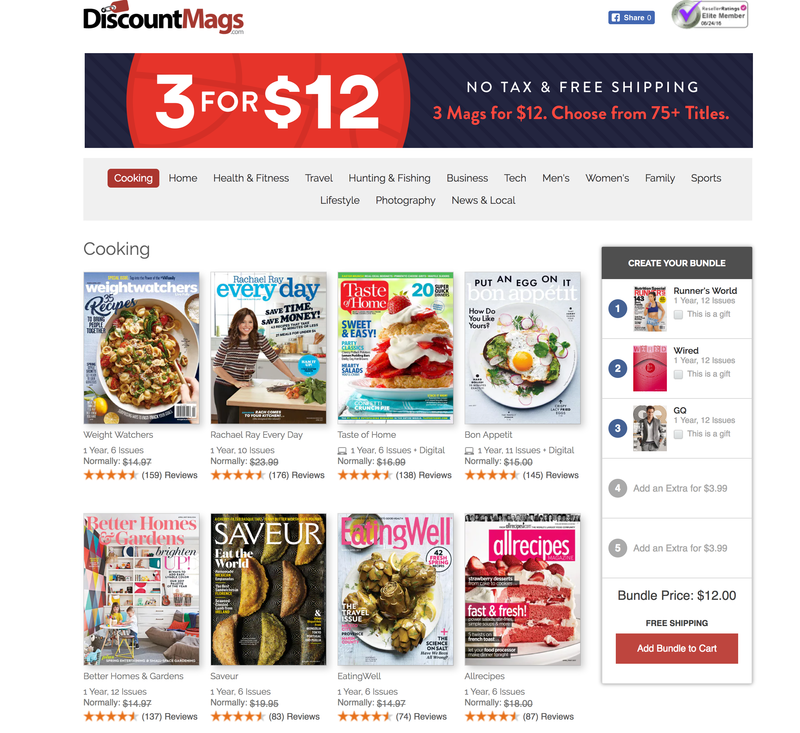 DiscountMags is offering any 3 select magazines for $12 with free shipping this weekend. And there is a nice selection of titles here including Wired, Dwell, Popular Science, Better Homes & Garden, Women’s Health, Fast Company, Inc, GQ, ESPN, and many more. While you have to get at least 3 subscriptions with this deal, that brings each title down to $4 a piece. Any of these mags at this price is a steal. Very rarely will they ever drop below this price outside of special holiday deals and more expensive bundles. As a price comparison, Popular Science sells for $10 a year and Wired sells for $20. And digital access is included where applicable. While you might be seeing a deal on Runner’s World floating around the internet today at $5.50 for 1 year or $9.99 for two years, it is part of the weekend sale at just $4. However you can use code 9TO5TOYS to grab Runner’s World on its own if you aren’t interested in the bundle option. As always, there is absolutely no sales tax or delivery fees and DiscountMags will never auto-renew your subscription on you like some retailers (Amazon we are looking at you). Wired magazine is a computer magazine devoted to readers who want to know more about that world. Every issue covers the newest and hottest electronic devices, giving readers an inside look at those devices before they hit the streets. From the hottest technologies to reviews of the best devices on the market, Wired magazine is a must-read publication for those interested in technology. Readers flock to Wired magazine because the publisher understands that readers want more than just another computer magazine. Every issue covers topics like philosophy, art, science, and the culture of those playing on the Internet. You will find hot topics in the Start section such as airlines that burst on the scene by offering wireless access on planes. This section even jumps into worlds you won’t find covered in other magazines such as how some cultures use electronics in unusual ways. Any worthy magazine offers reviews for readers, and the writers of Wired magazine take things a step further. These reporters put each gadget to the test before assigning a value, ensuring that you get the best product for your money. Each issue covers different products, including laptop computers, MP3 players, computer software, and even cell phones. You might find yourself skipping through the magazine to reach the Playlist, where writers report on the top ten products of the month that are blowing minds around the world. A subscription to Wired magazine lets you discover the hottest products before your friends and find tips on using that technology in your own life.